Last week was the launch of the “Drink Ribera Gourmet Sweepstakes,” a month long promotion where fans of Drink Ribera. 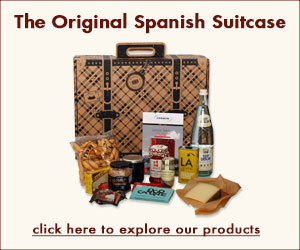 Drink Spain on Facebook can enter for a chance to win one of four Spanish Suitcase gourmet gift baskets from yours truly. Packaged in a travel-inspired, recyclable “suitcase” gift box, each Spanish Suitcase contains foods from Ribera del Duero and surrounding regions, including Inés Rosales Olive Oil Tortas from Seville, Dequmana olives from Losada, Conservas Artesanas María Jesús Piquillo Peppers from Navarra, Chocolate Orgániko chocolates from Madrid and more. Enter Drink Ribera’s “Gourmet Sweepstakes” on Facebook now through May 13 for your chance to win a Spanish Suitcase! 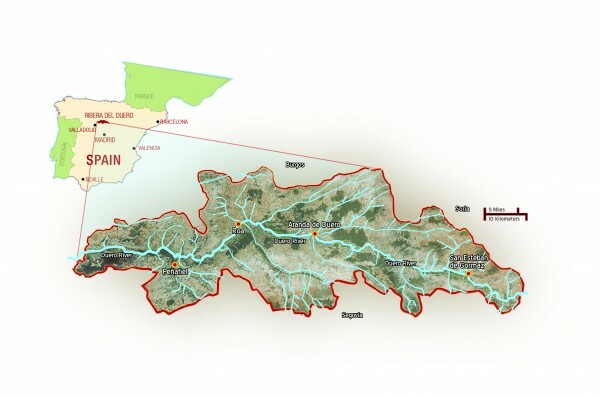 Drink Ribera is a cultural organization that drives awareness of the quality wines produced in the Ribera del Duero, a high elevation, extreme climate wine region that spans four provinces of Spain — Castilla y León: Burgos, Segovia, Soria and Valladolid. 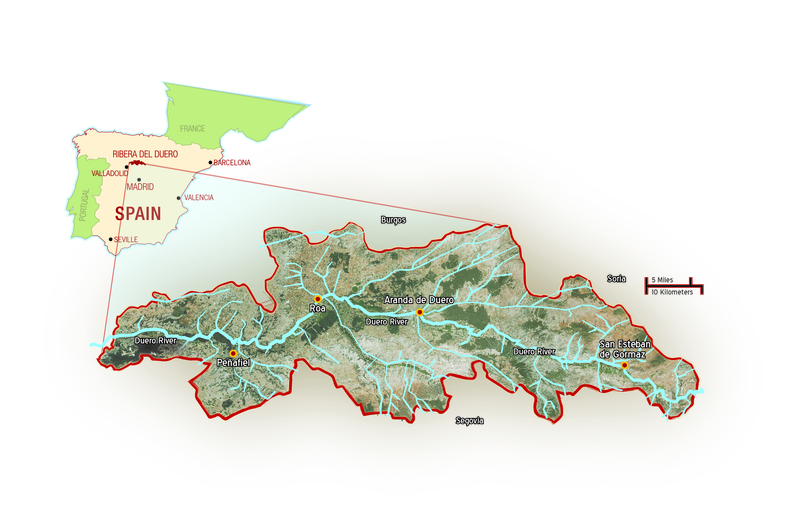 Famous for wines made from the Tempranillo grape, Ribera del Duero is home to nearly 250 producers. Here are Kerin’s top picks for Ribera wines. Not lucky enough to live a subway stop away from her jewel of a wine shop? Shop some of these selections and other unique Spanish wines in her online store. 3. Pago de los Capellanes Crianza 2008: “An excellent wine for the price! A seriously structured wine with a touch of modernity and French oak, 13.5%. Composed and tasty.” $65, available on tintofino.com. 4. Dehesa de los Canonigos 2006: “Aged in American oak, this wine has a classic touch. It has soft herbal notes, as well as cedar, cherry and dusty leather.” $48, available on tintofino.com. Is there a beer scene at all in Spain? Pretty sure our amigos at IBU Iberian Beer United can answer that question for you — there are LOTS of great craft beers coming out of Spain, some of which are now available in the US!